“It’s the most wonderful time of year,” crooned Andy Williams about the holiday season. For many, it is exactly that. The thought of family get-togethers, friends and family catch-ups and plates of rich food is hard to contain. But for others, the season is less appealing. Untreated hearing loss can make it exhausting to keep up with dinner table conversations and small talk with the in-laws. The good news is that hearing aids can reduce listening effort while protecting our cognitive health. 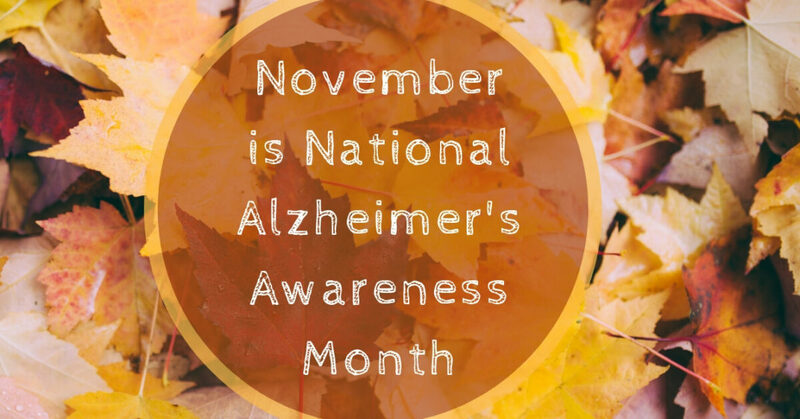 November is National Alzheimer’s month, another reason that we should be thinking about ways to keep our brains healthy and happy. Alzheimer’s is a silent killer, being the 6th leading cause of death in the US. And many studies point to social isolation as one of the key factors in the lead up to the development of the disease. One of the key elements of a great family gathering (apart from good food and a clean, well-decorated house) is noise. Noise in the form of jokes, good-natured banter, loud music, shouts of joy from young children, the clink of wine glasses or the blare of the TV during a holiday blockbuster. But this noise can be a nightmare for those with hearing loss. Even for those with normal hearing, noisy environments can be tricky to navigate when you are trying to understand the person you are engaged in conversation with. This is because we all use contextual cues to flesh out the rest of the conversation we fail to make out. So higher pitched consonants are masked and we tend to find it more difficult to filter out background noise as we get older. This effort required to separate background noise from the rest makes the brain work overtime, leading to cognitive fatigue. There are hearing aids on the market than can help, but many are unaware of how much of a difference they can make. You can understand now why some people with hearing loss often find it easier to avoid the family gathering altogether. in fact, that is exactly what tends to happen, according to research from the University of Jyväskylä and the University of Tampere in Finland. They found that the hard of hearing only went out in their immediate neighborhood vicinity, compared to those who felt like they had great hearing. This can explain why people with hearing loss often choose to avoid family and friends this holiday season. Add to that the shame of meeting relatives and having to explain your hearing loss to friends and family this past year, and it’s clear to see why some with hearing loss will come armed with a whole host of excuses to get out of any party this holiday season. For some then, Christmas becomes a lonely time. They see others having a good time on social media and it makes them feel even more isolated from others. Loneliness is a feeling of social disconnection from others. It is possible, then, to be among a crowd of loved ones and still feel lonely. Many people form coping mechanisms that make it difficult for them to form new connections with others. An over reliance on TV or other screens, for instance. It makes them less likely to meet new people and break the loneliness trap. Loneliness is emotionally debilitating but also has a huge impact on long term psychological and physical health. According to some studies it can increase our risk of Alzheimer’s disease. A team at the Rush University Medical Center published a study in the Journal of the International Neuropsychological Society. They found that a lack of social connections actually caused cognitive decline in old age, as well as vice versa. We can see here that social isolation can lead to cognitive impairments, which itself can be a stepping stone to the condition known as mild cognitive impairment (MCI). Many see this condition as the stage between normal cognition and Alzheimer’s disease. Others go further and see it as an early stage of Alzheimer’s itself. About 20 percent of people over the age of 70 have MCI in the United States. The evidence, then, is clear. If you have hearing loss and are worried about the noise from upcoming family gatherings, get your hearing checked and get those hearing aids fitted if you need them. Then go out and have a great time with your loved ones this holiday season. You will not regret it. The first step towards better hearing is making an appointment for a simple hearing exam. Once you have a clear picture of your current hearing health, you’ll be armed with the information you need to move ahead. A member of our expert team can help you to select the best hearing aids for your needs and lifestyle, and make sure that they fit comfortably. There is much to be gained in terms of your health and happiness by treating your hearing loss, so don’t hesitate.